One of the most beautiful complex in the city of Terni is the Fausto Amphitheatre, the main archaeological find of Roman still visible. >> Do you want to visit Fausto Amphitheatre? Contact now the best farmhouse in Terni and discover their offers! 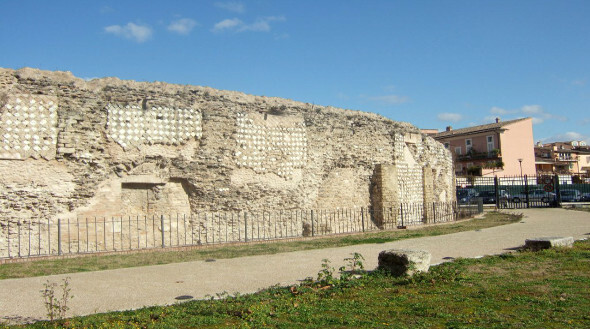 The Roman amphitheater was built probably around the first decades of the first century AD for orders of Fausto Liberal, as evidenced by its technical and stylistic. Of the original structure are still visible parts of opus reticulatum in two-tone blocks, while there remains no trace of the steps of the auditorium and stairs to access this and upstairs. 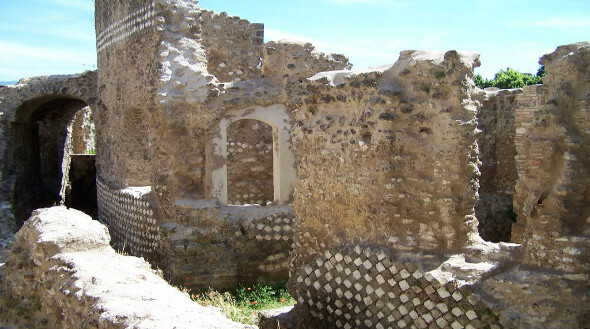 Despite the overlap of structures from later periods, such as the Church of the Carmine and the Bishop's Palace, which are based on the ancient walls, the characteristic elliptical (major axis m. 97.50, minor axis m. 73) is clearly visibile throughout its perimeter. >> There are offers in deadline! 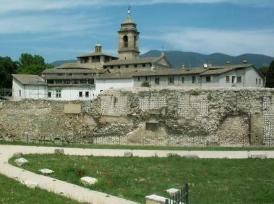 Click and consult list of the best hotels in Terni! Exhausted its function building for shows, with the decline of the Roman Empire, and after a period of neglect during which its facilities had to be the subject of a systematic intervention of dispossession for the recovery of building materials, the monument was interested by a substantial occupation of residential and religious, as widely documented by documentary sources and material remains. This stratification of building transformations, as well as to ensure at least partial preservation of the monument turned it into a real "three-dimensional archive" of urban affairs, civil and religious neighborhood of a historically important as the Duomo, inside of which is to find. The City of topics given the importance of the website decided to acquire the property in the mid-seventies.